Telford Music School in association with Yamaha Music Europe GmbH (UK) are proud to announce that they will be running a workshop dedicated to getting the best out of your Yamaha instrument. Daniel will take you through a whole host of different subjects on the day showcasing what is possible with this range of musical instruments. There will be 3 informal sessions dedicated to specific subjects on the day followed by a short concert. 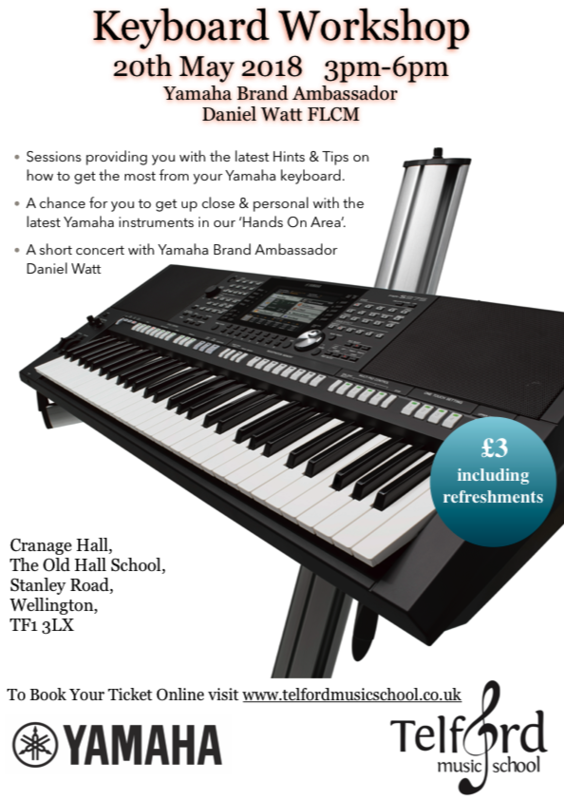 There will also be a ‘Hands On Area’ where you will be able to try the very latest Yamaha keyboards in the PSR-Series / Genos range with Daniel Watt & Product Specialist Ian House on hand to answer any questions you may have during the 2 intervals and at the end of the show.